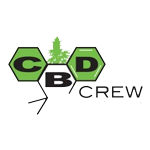 CBD Crew - Yummy. Free US delivery. CBD Yummy is a delicious cross between a very special Yumbolt strain selected in 2003, with the G13 Haze male. Similar to many sativas it has an exotic richness, like a tropical fruit fruit salad, with delicious mouth watering tastes.